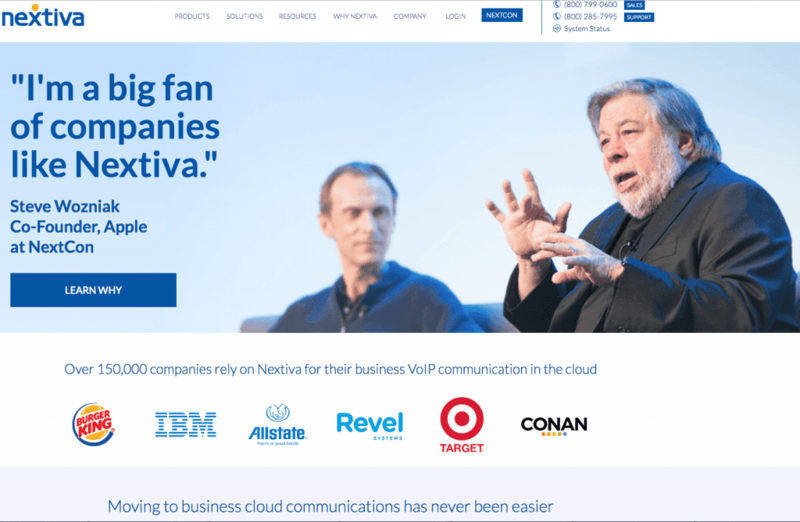 Nextiva is generally considered a go-to provider for when it comes to best in class Business VoIP, and often ranks top among user reviews of service providers. Between compelling solutions and product offerings, award winning service, and the flexibility to build out a powerful, yet simple, UC solution help position Nextiva as a really strong choice. But, that doesn’t mean there aren’t alternative business phone plans out there. While Nextiva can offer a well-rounded package, expanding from basic VoIP to Call Center solutions, they might not be the perfect fit for every team. While most providers offer roughly the same basic foundation, the differentiation lies within the service’s focus. Now, generally, Nextiva is known for their innovation, and Nextiva solutions hit the nail on the head (check out these Nextiva reviews). But sometimes a business might require a specific focus — like say, a unique video conferencing app, or a built in collaboration and team messaging solution. More often than not, you will find most providers offer roughly the same level of service when it comes business VoIP features and services. However, the difference lies within the details. 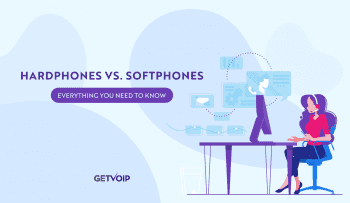 While overall VoIP offerings will be much of the same, yet slightly differ based on pricing and the limitations that follow, different providers will offer a different focus point of their service. Now, if you are having problems with the service from your provider, cancelling isn’t your only option. Sometimes you can even try to get the FCC involved to help smooth things out. But, there still might come a time when one provider just doesn’t fit the bill for your team anymore. Some providers might focus strong on building out an entire UC solution, while others have brought in partners to help offer a powerful conferencing solution. One of the providers on our list even offers Business Internet service and security for a complete package. With different strengths in different areas, not every provider will be the right fit for your team. As one of the original names in VoIP, just about everyone recognizes Vonage. Originally focused on residential VoIP, the provider has transitioned into the Business world, with their major efforts focused on developing their powerful Vonage Business platform. More recently, Vonage has been gone working with Amazon to integrate their new Chime UC solution into all Vonage Business plans. So, on top of their business VoIP service, Vonage is able to offer a really powerful conferencing experience with the simplicity Chime brings, along with Enterprise level security. Vonage was also one of the first providers to being offering out of the box integrations for their Vonage Desktop app, and still continues to add to that list. Even with just a focus on their VoIP service, Vonage is unique in that hey offer metered extensions. Unlimited calls work for most businesses, but for smaller teams that won’t be using every single phone line, every single day, the ability to pay for only what you need is a great option. For some more information, you can check out our comparison of RingCentral vs Vonage Business. Al-la-carte VoIP service with the option between unlimited calls, metered extensions, and the ability to choose only the features your business needs. Enterprise level video conferencing thanks to Amazon Chime. 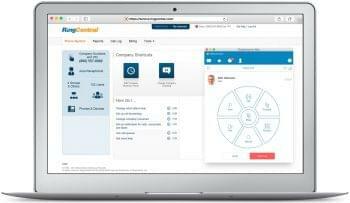 With over 100 premium features and plans and pricing starting at $19.99 a month, RingCentral offers also offers a very compelling cloud phone system. Starting even in that standard $20 plan, RingCentral includes unlimited calling, 1,000 toll free minutes, multipoint mobile and desktop HD video conferencing, with screen sharing, for up to 4 users, and on top of it all their entire Glip collaboration solution. That’s a bit of a mouthful, but RingCentral offers a complete collaboration and conferencing suite, along with an entire Business VoIP service, even within their standard plan. When I compared them head to head, I even personally preferred Glip over Slack for team communication and collaboration, since Glip comes with even more features built right in, off the bat. 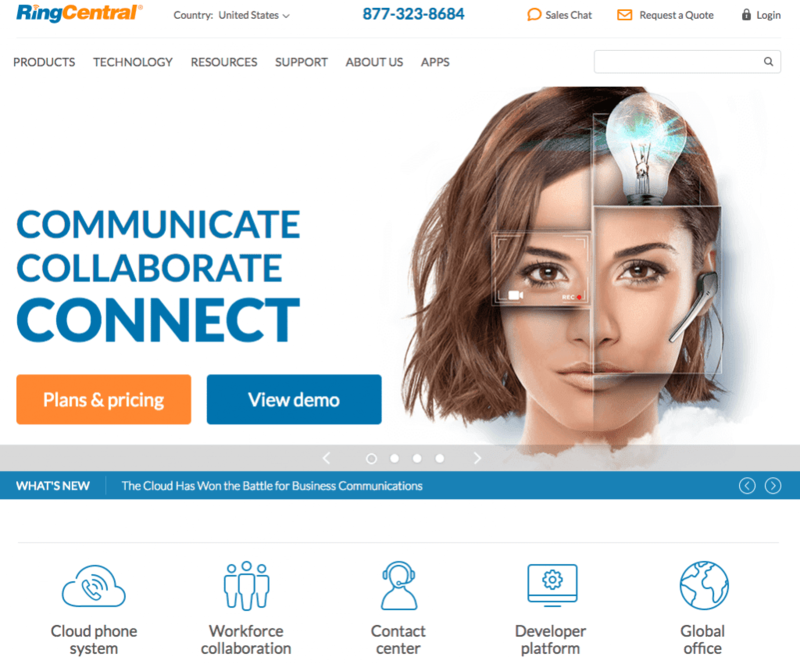 To build out your UC and collaboration solution even further, RingCentral offers a pretty stacked selection of integrations for the entire cloud phone system. If things go wrong, well RingCentral is one of few providers that makes it really easy to get in touch with support, or even fix it yourself. If you’re curious just how well RingCentral stacks up to Nextiva, you can check out our Head to Head comparison of the two. A feature stacked Business VoIP service and entire messaging and collaboration solution rolled into one. If your business has a strong international presence, RingCentral can offer service with numbers and data centers around the globe. MegaPath is a unique provider, and unlike most on our list, in that they stands as the ultimate “one stop shop” for just about any business of any size. With such a wide solution range, MegaPath offers no-contract Hosted VoIP, but also Business Internet, Network, Security and other Cloud Services. Pretty much, MegaPath does it all from the ground up starting from your Business’ internet connection, network infrastructure, unified communications, VoIP, and security on top. Unlike most competitors, MegaPath uniquely does not place any user or seat minimums on feature availability — that means you won’t have to double your cost just to bring on another phone line, or add in another feature. This even carriers over to support, with no extra level of service hidden beyond even more fees and pricing plans. We’ve all heard horror stories of phone service going down, then one provider blaming another, or certain phones not working on different networks. Overall, the idea is that MegaPath will do it all for your business, with one provider and one bill. At the end of the day, MegaPath brings simplicity and one point of contact if anything ever goes wrong. Plus, no minimum users means MegaPath works for any size team. 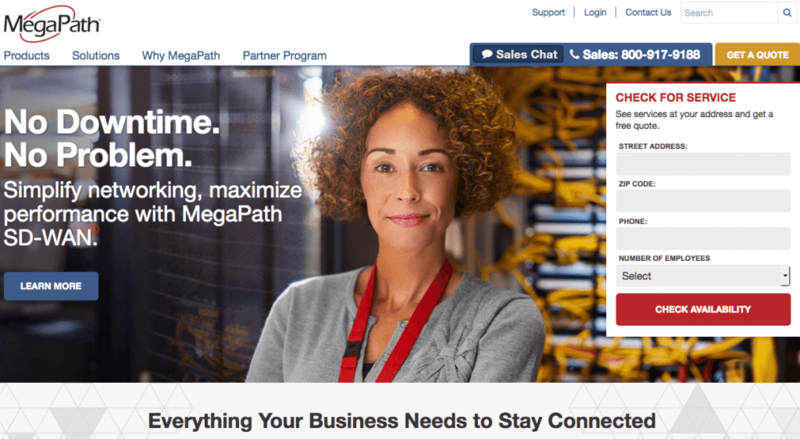 If your business is in need of service beyond just VoIP, and build out an entire network with one point of contact, MegaPath is the best option. Without any feature or user limitations, MegaPath is compelling for even smaller teams. If a completely cloud only solution isn’t exactly what your business is after, then an on-premises or even hybrid solution might fit the bill. Either way, ShoreTel has the capability to build out a solution to fit whatever setup your business needs. Onsite UC, Cloud UC or a Hybrid UC options can all deliver the consistent user experience, and even evolve with open APIs for native integrations right off the bat. With their VoIP service, instant messaging, audio, web and video conferencing, ShoreTel definitely offers everything you need in a UC solution. The ShoreTel Connect platform was actually named as a 2016 Unified Communications Product of the Year Award winner by TMC for the incredibly simple user experience the platform achieves. But the real beauty lies in ShoreTel’s ability to create a completely unique setup for every business, and every location. For those that need the absolute cost savings of a cloud first solution, ShoreTel manages to cram everything into one simple plan. Or, if your business needs the continuity of a completely on-premises solution, but doesn’t want to miss out on everything SIP brings, then Onsite UC fits the bill. But even more unique, is the happy middle ground of a hybrid solution, allowing a business to power multiple locations through the cloud, with one central on-prem location. For more information, you can check our Head to Head comparison of ShoreTel and Mitel, another close competitor for the provider. An entire UC solution with messaging, collaboration, voice, video and web conferencing that places simplicity and user experience as a top priority. Easy to pay for, easy to use. Building out a completely unique solution, whether that be on-premises only, cloud only, or the perfect hybrid mix. Great for businesses with multiple locations. With what 8×8 is calling the “world’s first Communications Cloud,” your business can break down any walls between communications, both internal and external. 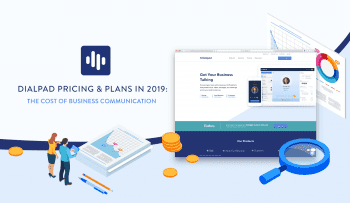 Connecting unified communications, team collaboration, contact center, and even real-time analytical solutions into one single platform, 8×8 has managed to build out an entirely connected platform all the way through. 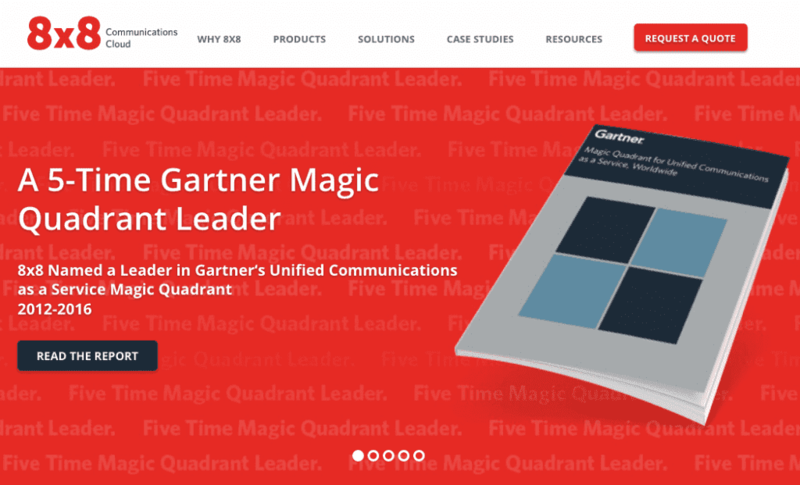 8×8 is listed as a leader in Gartner’s UCaaS Magic Quadrant for a pretty good reason. 8×8 of course brings to the table the usual Business VoIP service and expected calling features with their Virtual Office and Virtual Office Pro service plans. Unified Communications can also be further integrated with third party apps thanks to integrations, as per the usual, and 8×8’s call reports and analytics are equal to that of Nextiva’s solutions for instant intelligence and rapid decision making. Overall, 8×8 offers one of the leading Cloud Unified Communications solutions, and like Nextiva fits the “jack of all trades” bill with their industry leading UC platform. On top of their leading UC platform, 8×8 integrates all internal communications deeply with their Cloud Contact Center solution for any external communications. 8×8’s platform helps “bridge the gap” between otherwise silo’d communications. For more information, take a look at our Head to Head comparison of 8×8 and RingCentral. Small, midsize or even Enterprise level businesses that are searching for a complete, industry leading Cloud Unified Communications platform. With strong Cloud Contact Center, 8×8 offers a deeply integrated communications platform, connecting the islands between employee and client communications. Jive had originally made a name for themselves providing services to both enterprise businesses and large government organizations. 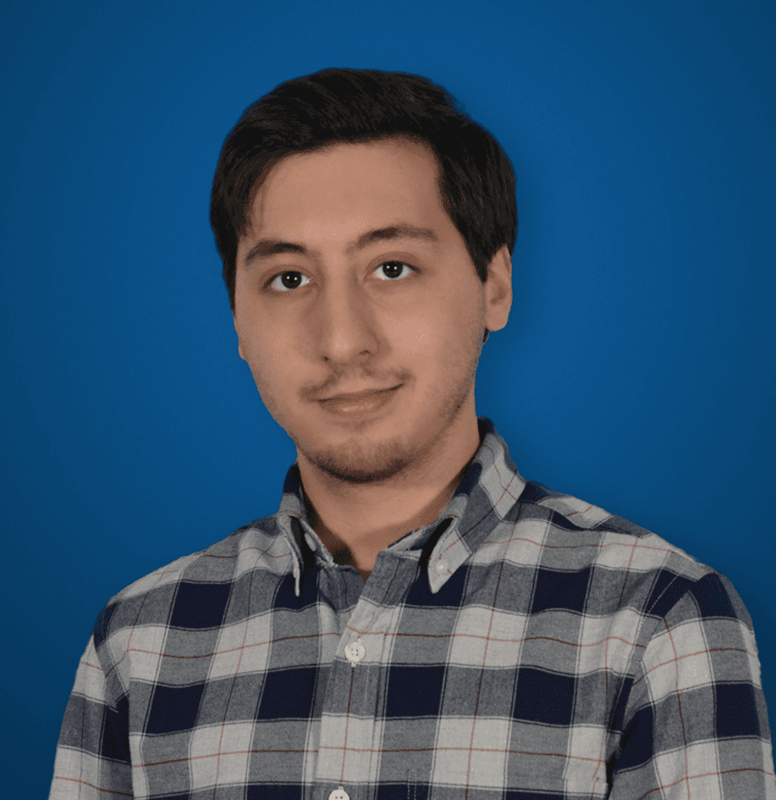 But, Jive has since of course branched out into just about every size of the market from the small to large, and hits all the points you would expect form a top Nextiva Alternative. Similar to 8×8, Jive manages to offer a complete cloud platform, with a strong focus on the ease of use. Business VoIP is of course the main course of the platform, with Jive particularity known for their visual dial plan. Unlike standard drop down menus, or text-based programming for Jive’s Auto Attendant feature, users configure the caller experience through a completely visual based system. Instead of having to juggle annoying drop down menus that get confusing, or learning how to code, simply connect the dots for a simple setup to create a simple auto-attendant experience for your callers. And this all comes in at a competitive price point of $19.95 per user for a standard plan. Jive has as well grown to include mobile apps, and the provider even includes their Jive Video conferencing and collaboration solution, to rival similar offerings on the market. With features including point-to-point video calls, HD content sharing, group text chat, active speaker identification, and reservation-less virtual conference rooms, Jive’s solution rivals even that of Amazon Chime. Businesses that are looking for an incredibly simple experience, from setting up individual phone lines, to designing the best customer experience with the simple visual editor. Jive Video is a great alternative for the business in search of a phone system that integrates deeply with a video conferencing and meeting solution for those not invested in Amazon Web Services, or similar ecosystems. When we recommend alternative providers for any solution type, we generally do-so because not all providers will have the direct focus that every business needs. Nextiva is often considered our standard when it comes to Business VoIP, because between the level of US based service, the overall experience provided, the deeply integrated and innovative Cloud platform, and the compelling pricing help position Nextiva as one of those top providers. Generally, Nextiva will do everything you need and more, and if any problems arise, well there is a reason Nextiva made it to the top of our Customer Service Success Stories. However, sometimes a team might require a specific tool for a specific job, and might need a strong focus in a different area. Vonage Business, for example, stands out as a very strong option for those that want Amazon Chime, an incredibly powerful video conferencing solution. Or, if your team has a big focus on collaboration, RingCentral’s Glip might be your best bet. That’s not to say Nextiva doesn’t offer these services, as they do, but in such a competitive market, providers have had to search for a way to differentiate beyond just phone features. All around Business Cloud Communications. With a complete platform, connected through the innovative Nextiva NextOS, your business can gain even more control over every aspect of your VoIP, and UC system. If support and service is of a priority, then Nextiva is really your best option. Nextiva is also well known for their award winning, US based customer service. Innovation. 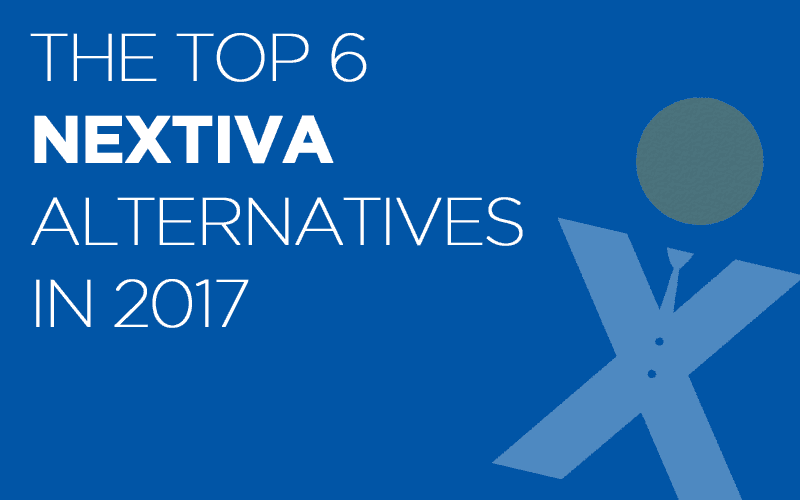 If your team is looking to stay at the top of the innovation curve, and leverage any new advancements in tech or communications, you can be sure Nextiva will be the first to have it.